I had a shorter AL this time 2 hours as I wanted to use the stiffer starter from the night before. I found that because I used the spelt and durum that I almost got a windowpane just within that shorter AL time. Otherwise my usual process of adding leaven, wait 30 min and then add salt and a bit more water. Slap and fold and then bulk for approx. 6 hours including a lamination and 2 folds. 30 min benchrest and 30 min at room temp in banneton before in wine cooler at 4C. for 15 hours. I then scored 1 loaf with a simple in the middle cut and the other with a double.. I noticed a slightly lesser rise on the double cut loaf and thought it was amazing to see where the bubbles were trying to escape...I always knew that scoring can affect the crumb and the shape of a loaf and was great to being able to compare...I might try that again.. 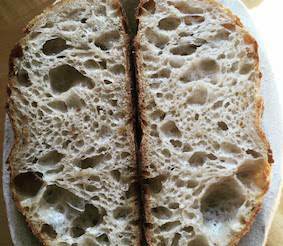 But here's a funny thing about scoring, oven spring and crumb. 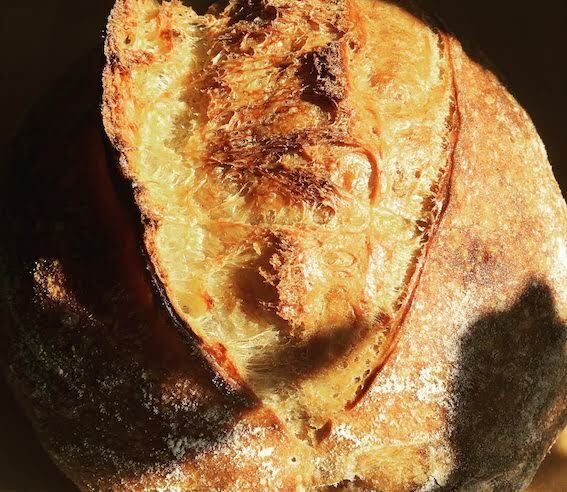 Sometimes I will get some really darn nice oven spring only to cut into the dang thang and find that the crumb is relatively tight. Scoring very much dictates the direction of the oven spring. 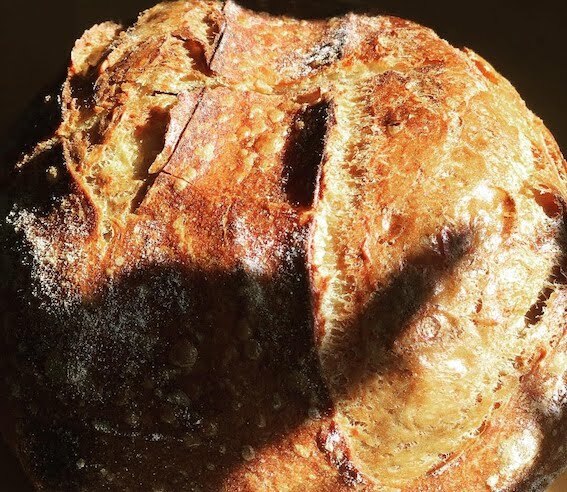 On an uneducated hunch, I wonder if when one scores a dough in the manner as your second loaf, where the scores don't overlap or cross each other, if that isn't "stealing" some of the resultant oven spring and crumb openness from the bread. As I never score in this manner, I have no personal experience to guide my response, just a what-if. That is really gorgeous Kat. What was your starter mix? Looks delicious. this type of crumb with my 100% starter which I keep at 5g, 50g, 50g twice a day schedule at room temp using 45g Strong White Marriages and 5g Shipton Mill Light Rye.. Both are amazing! I saw the video on scoring and the effect it has and your loaves really show this to be true. Your crumb is to die for! Kat, I think I’ll go with 100% hydration, and I love the idea of using the semolina - which I use in my pizza dough as well. I’ll post when I try this one. It looks delicious and your scoring is wonderful!